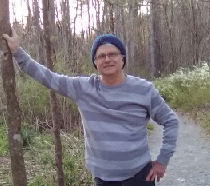 Glenn ‘CW’ Bladon, 64, husband of Libby Bladon, of Abbeville, died Saturday, April 13, 2019 at Self Regional Healthcare in Greenwood. He was born in Greenwood to the late Thomas E. and Margie L. Willis Bladon. CW was a 1974 graduate of Greenwood High School. He was employed with Solutia as a sheet metal mechanic for many years. Playing the guitar was a favorite hobby. He and Libby enjoyed camping in the North Carolina mountains where they found pleasure in the quietness of nature, most recently, just two weeks ago. CW is survived by his wife of 42 years, Libby, of the home; two sons, Dylan Bladon (Jennifer) of Hodges and Justin Bladon (Beth) of Abbeville; a sister, Linda Rushton (Ronnie) of Orangeburg; a grand-daughter, Leanna Bladon; his father-in-law, Frank Boland; his brother-in-law, Kirk Boland (Laura) all of Greenwood; and his sister-in-law, Angie Carr (Walt) of Simpsonville. The family will receive friends 6:00PM – 8:00PM, Tuesday, April 16, 2019, at Harris Funeral Home, Abbeville Chapel. A private, family memorial service will be held at a later date. In lieu of flowers, the family respectfully requests, memorial contributions, in memory of CW, be made to the Humane Society of one’s choice. Harris Funeral Home and Cremation Services, Abbeville is assisting the Bladon family.